The Roscoe is impressive. 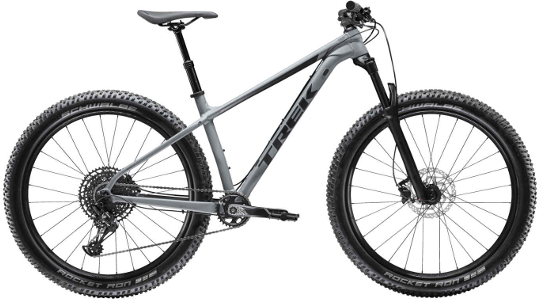 Priced at £1,100, the Roscoe speaks for itself with the quality of parts used as well as the reliable and durable Alpha Gold Aluminium frame, backed by Trek's lifetime guarantee. 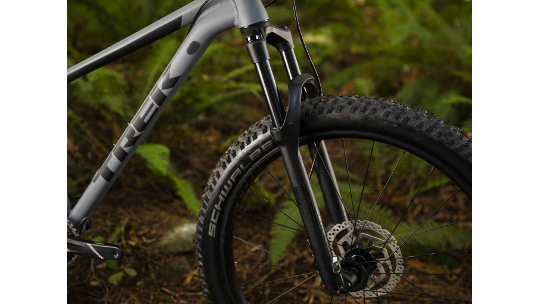 Trek built the Roscoe 8 without a front derailleur, removing the risk of gears becoming clogged up or unreliable as the surface gets mucky and with an 11-50 cassette at the back, you can still rely on the same great range of gears as previously experienced with a 2x system up front. 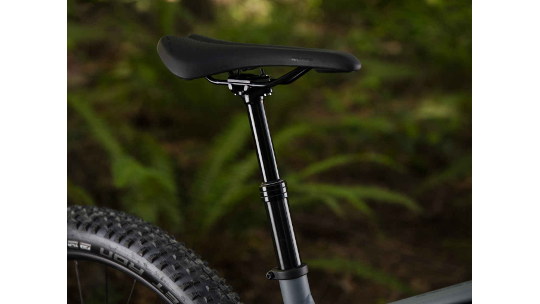 Bontrager dropper line seat post, not only makes getting on the bike easier but on-the-fly adjustments quick and easy. Shimano's MT200 hydraulic disc brakes ensure smooth, reliable braking no matter how bad the conditions get. Finally, a tubeless ready wheelset means you are only a quick transition away from heavily reducing the chance of punctures whilst out on the trail. Roscoe 8 features a strong Alpha Gold Aluminium frame, confidence-inspiring 27.5+ tyres mounted to Tubeless Ready Bontrager Line rims and a 120 mm RockShox Solo Air fork with a TurnKey hydraulic lockout. Plus, a dropper post, a SRAM NX Eagle 1x12 drivetrain, and Shimano MT200 hydraulic disc brakes. Brilliant value for money. Anyone looking to get out and really enjoy themselves on the trail needs to check the Roscoe 8 and its build out!